This add-on is designed to show all members who are ignoring other members. 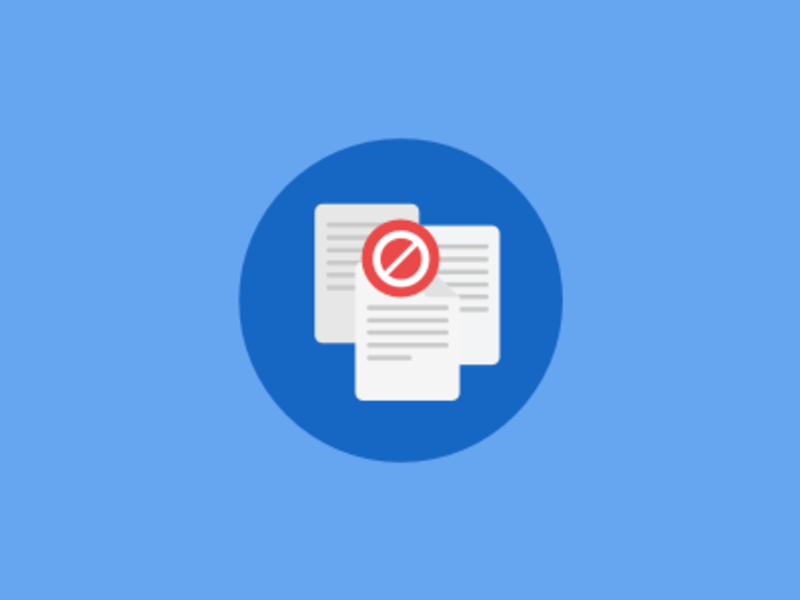 And to block the ignored users from viewing the profiles of members who have ignored them. They will also not be able to contact them through personal conversations. 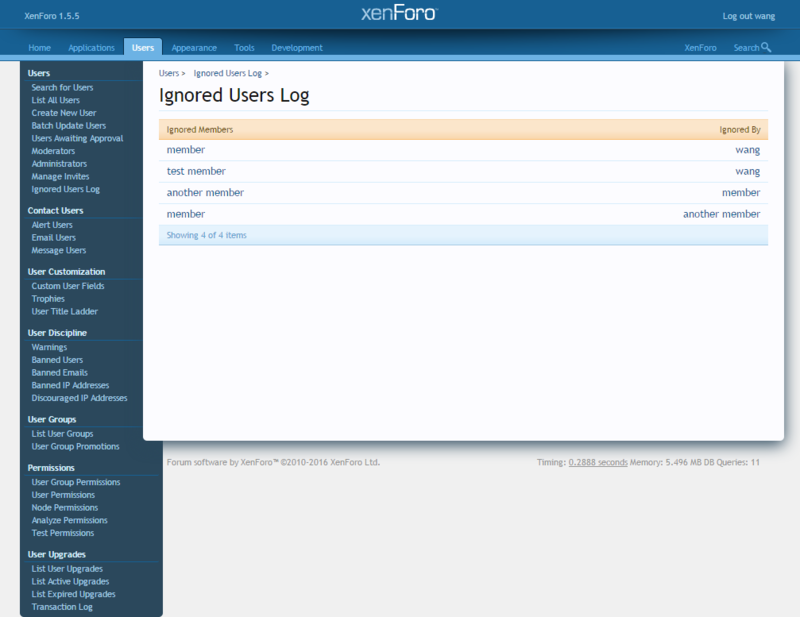 An ignored log has been added to the Admin Panel, under the Users tab. It will list all members that are being ignored and the members that are ignoring them. 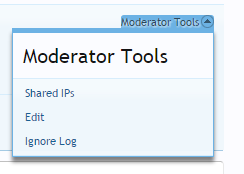 To see a list of all users that are ignored by a certain user, go to their profiles, and under the Moderator Tools link, click the Ignore Log link. It will open a pop up with all users that are ignored by that particular user.